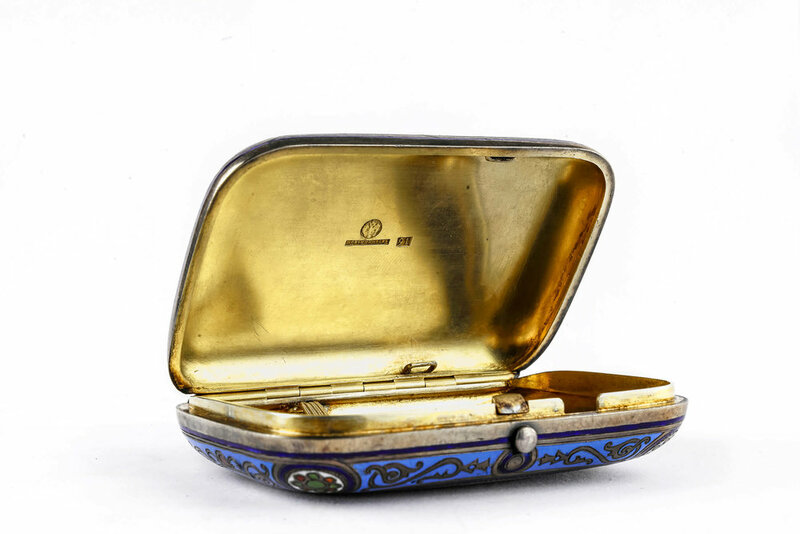 Antique Russian silver 91 champleve and pictorial en plein enamel cigarette case by Ivan Khlebnikov, circa 1874. 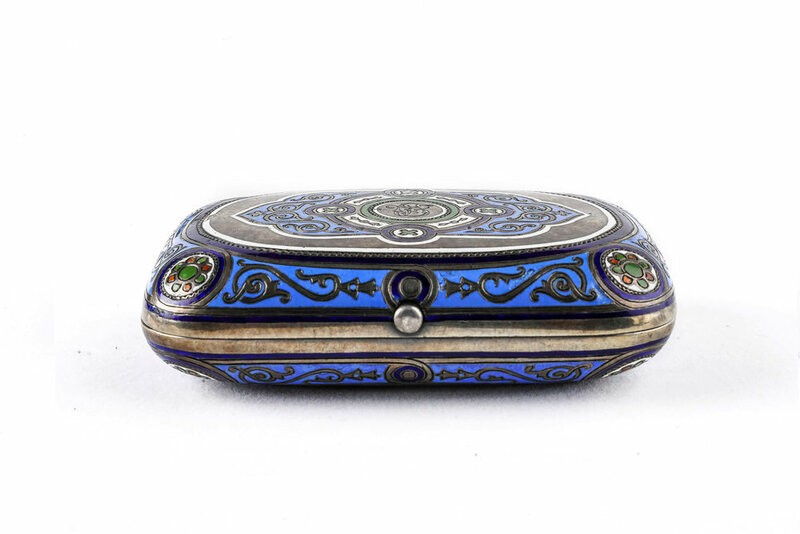 A beautiful antique Russian silver 91 champleve and pictorial en plein enamel cigarette case by Ivan Khlebnikov, circa 1874. Length is 3.75 inches. Width is 2.5 inches. Weight is 140 grams.